This is a rare moment for me. You don't see me posting photographs of bugs because I don't like them. I know most of them have a role in nature but that doesn't make me like them. 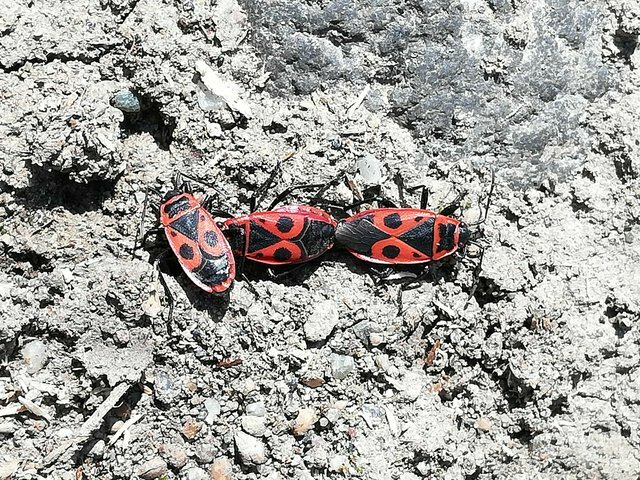 Firebugs look interesting because of their red and white colour, they look good on a photo but still don't like them. 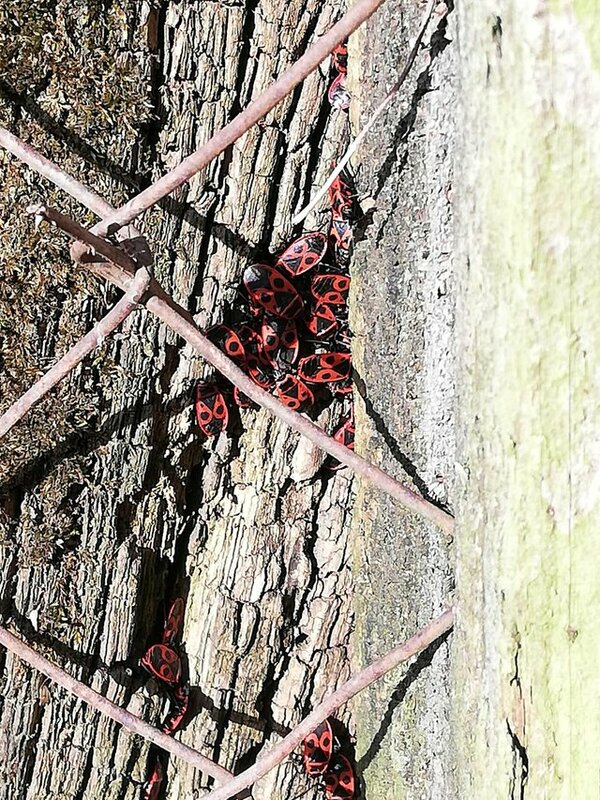 Spring is their favourite season of firebugs, you see a bunch of them everywhere. They stay in groups, together. The only exception is bees 🐝, although I'm afraid of them, sometimes I have the courage to go close to them and take some photos. Last year I've been put to the test and it turns out I'm not allergic to them but I prefer to stay away from them. 😯 what's happened to your profile pic? They are very cool and good looking but I dislike bugs, just like you. By the way, surely you meant Red and Black colours. Right? These remind me of the milkweed bugs i get around here. Do these molt into a different color after a while? No, I don't think so, I know these to be always red and black.